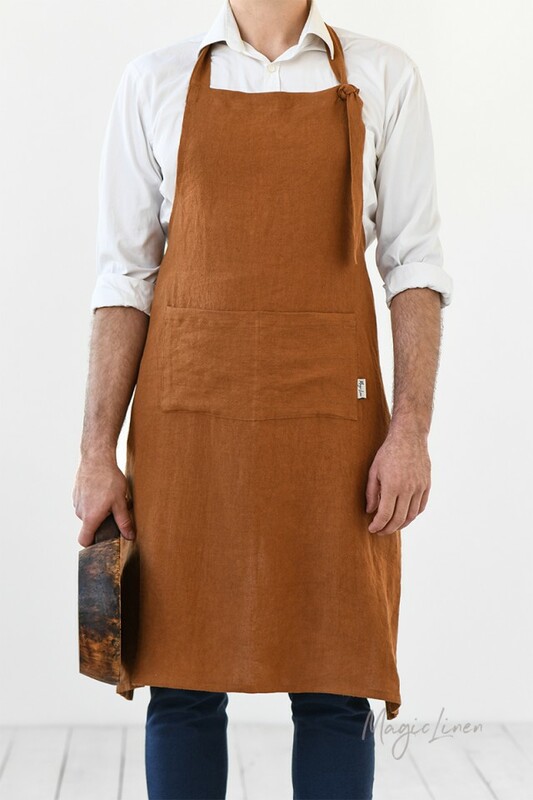 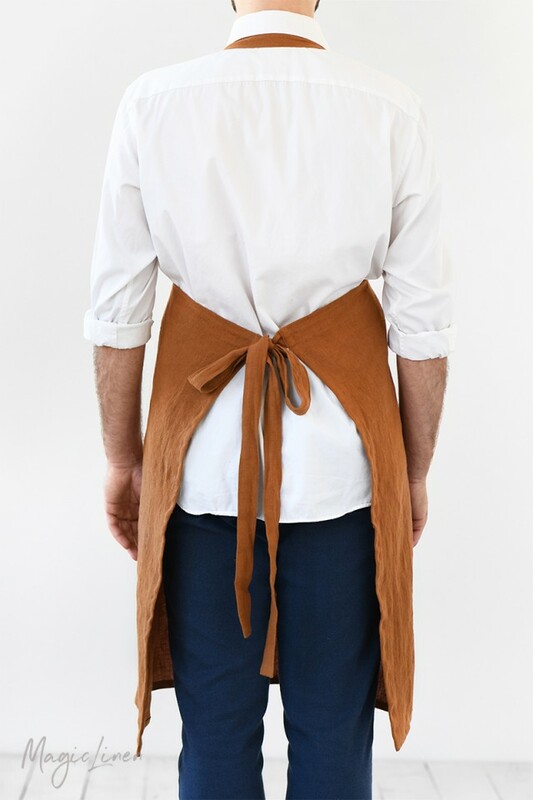 Men's linen bib apron available in three colors: charcoal gray, gray blue, and cinnamon. 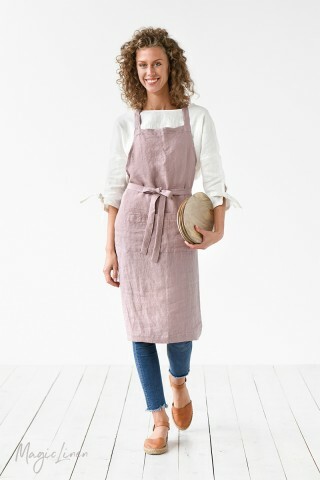 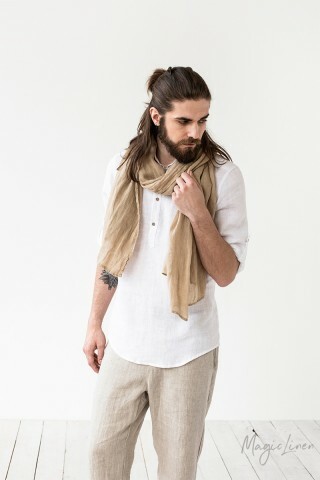 Featuring comfortable straps in the back and an adjustable grommet in the front, this full linen apron for men is an irreplaceable companion in the kitchen and garden. 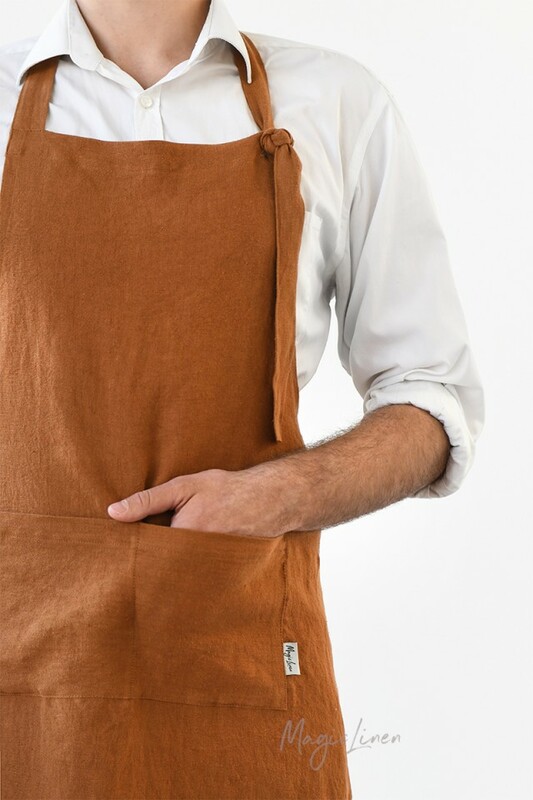 Fitted with a roomy front pocket, it combines style and function.